Resolution Insurance has chosen insurance technology specialist SSP to provide a new, robust, flexible IT system to underpin its expansion plans. Following private equity investment, the insurer has diversified into the general insurance market and expanded from its Kenyan base into Tanzania. “Kenya is an important market for general insurance that has grown by 20% compound over the last year. I am delighted to be working with Resolution Insurance, a company that shares SSP’s commitment to delivering innovative and quality solutions to this market, with the roll out now extended to include its operations in Tanzania. “We are targeting 100% growth in GWP over the next five years. 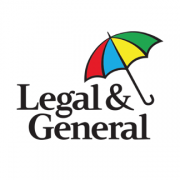 Although we originally launched as a healthcare insurer, general insurance will play a vital role in our growth plans by becoming the biggest element of the group, contributing around 60% of our GWP.